As we all know, the commercial success of a film can largely be attributed to its marketing. Distributors can attest that even the re-titling of foreign language films is often a marketing decision. This fact was constantly on my mind as I watched this debut feature from French director Thomas Cailley. After winning the Directors’ Fortnight section at Cannes last year, "Les Combattants" has now crossed the Atlantic with the new name "Love at First Fight", clearly targeting a female audience. However I much prefer the direct translation of its French title – Fighters – which is more reflective of this unorthodox love story. After an auspicious Sundance debut where the film won the Editing prize and secured a $7 million distribution deal, "Dope" will finally hit theaters next month on June 19. The film is directed by Rick Famuyiwa - known for 2 of the most well-known black films "The Wood" and "Brown Sugar" - and stars an exciting cast that includes Shameik Moore in the lead, as well Kiersey Clemons, Tony Revolori and Zoe Kravitz. The plot revolves around these youngsters as a group of hip hop geeks who become embroiled in an drug scheme. I can't wait to see what the fuss is all about. Check out the trailer below. Dope opens in theaters June 19th. Xavier Dolan has made his mark on cinema by making films that are uniquely his own. The young auteur marches to the beat of his own drum, claiming that his work is "not that influenced by directors". For his 2013 suspense thriller "Tom at the Farm" however, Dolan seems to have drawn obvious inspiration from the master himself. The film's DNA is Hitchcockian, but with enough of the director's signature touches to make it outstanding. "Tom at the Farm" follows our titular Tom (Xavier Dolan) as he makes his way to the countryside for the funeral of his lover Guillaume. As he arrives to meet Guillaume's family for the first time, he quickly realizes that his mother was never aware of the relationship. Before Tom can reveal the true nature of their relationship however, Guillaume's brother Francis (Pierre-Yves Cardinal) stops him in his tracks. In order to prevent further distress to his grieving mother, Guillaume warns Tom not to tell his brother's secret. The funeral soon passes without incident, but Tom finds that he's unable to escape the grip of this intimidating man. Psychological games ensue and Tom begins to fear that he's in serious danger. From the chilly cinematography to the sterile production design, "Tom at the Farm" is unlike any other Dolan film. His usually showy style and heightened emotions give way to restrained austerity and simmering tension. 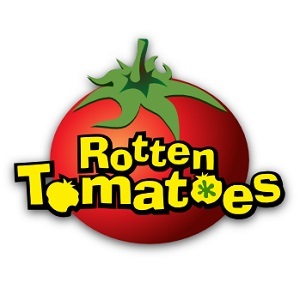 The film's central dynamic revolves around the relationship between Tom and Guillaume, which develops over the course of the film and fuels the plot. It's here that Dolan asserts his personal touch, applying a subtext of homoeroticism between the two, with just enough ambiguity to maintain the mystery throughout. On this note, the film is noteworthy for containing Dolan's best acting performance. As the camera lingers on him, you feel his sense of unease as his face registers subtle hints of the truth that he dare not reveal. As his tormentor, Pierre-Yves Cardinal is also a strong presence in the film, using his imposing physicality to good effect. Of the three main actors, Lise Roy is the weak link, giving a rather crude interpretation of the fierce protective mother. All in all, "Tom at the Farm" may not be Xavier Dolan's most original work, but it's an exquisite exercise in genre filmmaking, crafted with economical precision. He shows a strong understanding of what makes a thriller tick and in the process, demonstrates a range that wasn't evident in his previous work. This invaluable asset may well turn out to be the most impressive aspect of his promising career. After Wednesday's opening day festivities, the 2015 Cannes Film Festival is fully underway, bringing cinephiles together at the mecca of auteur-driven world cinema. I therefore decided this would be the ideal time to shine a spotlight on some of world cinema's most exciting working directors, including some of the names that will be involved in this year's fest in various capacities. Fans of French cinema must surely have followed the release of André Téchiné’s latest film In the Name of My Daughter with great anticipation. In this drama which premiered at the 2014 Cannes Film Festival, screen goddesses from two generations converged through the iconic Catherine Deneuve and rising star Adèle Haenel. The duo play mother and daughter in the film, which is based on a 1970s criminal case surrounding the wealthy Le Roux family. This week's top pick is a unique dramedy that made headlines in 2011, when it beat a number of Oscar hopefuls for the People's Choice Award at the Toronto Film Festival. 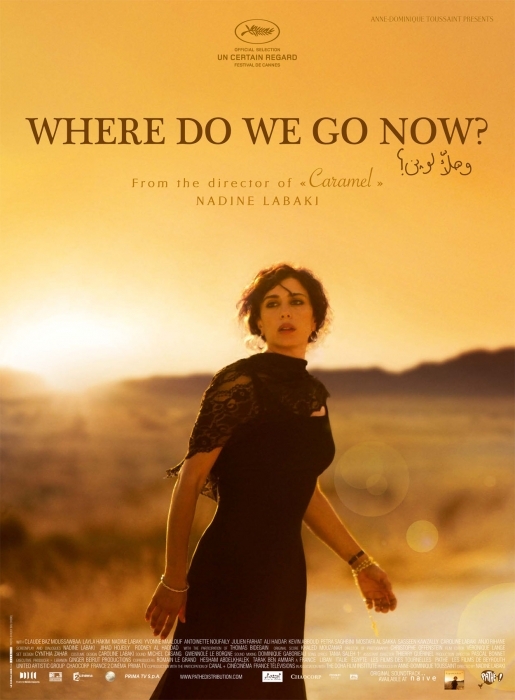 Directed by Nadine Labaki, "Where Do We Go Now?" explores how religion affects the lives of people whose opposing views collide on a daily basis. Though it is set in Lebanon, its universal relevance is obvious. Specifically, it seeks to address the tensions between Christians and Muslims when they are forced to coexist. "Where Do We Go Now?" takes place in a Lebanese village inhabited by presumably a Muslim majority and a prominent Christian minority. The village is closed off from the outside world, as the women of this society work tirelessly to maintain the peace, controlling the influx of information from TV and radio. While a civil war rages on around them, these women are wary of their own experiences with violence, as squabbles between the men often come to a fatal end. Frustrated by the endless cycle of mourning, the film shows us their desperate attempts to keep everyone happy, often using comical means to do so. When I first watched the trailer for "Where Do We Go Now? ", I dismissed it as an idealist trifle. It seemed to depict an unrealistic world where hostile relations could be easily remedied through music, laughter and other quick fixes. To be honest, that concern may still be valid after seeing the film. The plot involves a series of distractions devised by the women to diffuse the tension, mainly the invitation of a few scantily clad blondes to appeal to the men's base desires. In addition, the film includes a few musical interludes that could have - and should have - formed the basis for a separate film altogether. Indeed, it's all fun and games until violence flares up again, resulting in a particularly devastating tragedy. While Labaki ensures that the comedic portions are highly entertaining with the various outrageous schemes, she doesn't shy away from the harsh reality of this environment. We are made acutely aware of the danger of such deep-rooted fundamentalism on both sides, and Labaki's large ensemble of actresses is equally affecting in conveying their collective grief as they are with their optimistic spirit. In the end, the film's proposal for harmonious living is hardly convincing. Still, it's a pleasant fantasy of what could be. 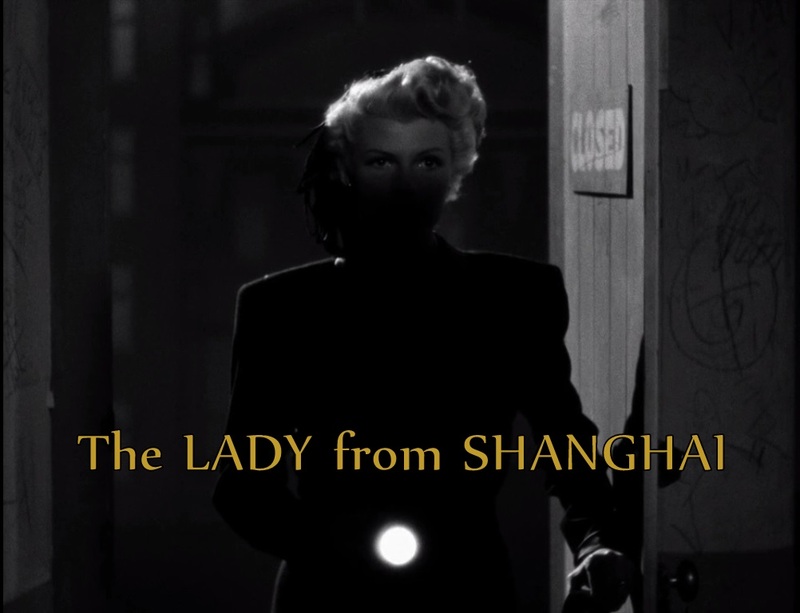 As we see in the film's closing scene, the title "Where Do We Go Now?" is less a probing question than it is an exclamation about the folly of our world. After a strong festival run which saw the film win numerous audience awards, Stephen Bradley's "Noble" will arrive in select theaters May 8, 2015. Based on extraordinary true events, it's easy to see why the film has already captivated audiences across America. In typical biopic fashion, it's an inspiring portrait of a great historical figure. 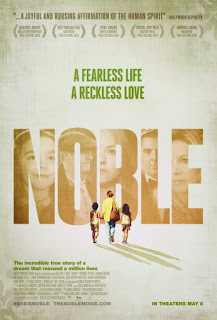 "Noble" tells the story of Christina Noble, an Irishwoman who overcame a rough childhood to become one of the biggest supporters of children's rights through the establishment of the Christina Noble Children's Foundation. The film takes us on her incredible journey from her days in a Dublin orphanage through her subsequent struggles as a young woman, and eventually to Vietnam in the 1980s. Trusting in her belief in faith and destiny, Noble found herself in the Southeast Asian country as a result of a vision she received in a dream one night. Not sure of her exact purpose, she ends up finds her calling on the streets of Vietnam, where she decides to fight to save the many disadvantaged homeless children. Unsurprisingly, she is initially met with some opposition by the locals, but the film ultimately shows the power of courage and faith in overcoming obstacles and achieving great things. With a name like Noble and life-changing events initiated by seemingly divine intervention, Bradley's film would appear to fall perfectly into the trap of the "white savior" narrative. Early scenes of Noble defiantly taking a random pair of Vietnamese girls off the street and treating them to clothes and food certainly do little to dispel that concern too. As we go deeper into Noble's life story however, any cynicism is gradually alleviated through flashbacks to her own hardscrabble upbringing. We get to see harrowing scenes of her separation from her siblings at a young age, as well as unfortunate instances of abuse as she got older. As a result, it establishes a genuine feeling of kinship with the unfortunate Vietnamese children she aids. 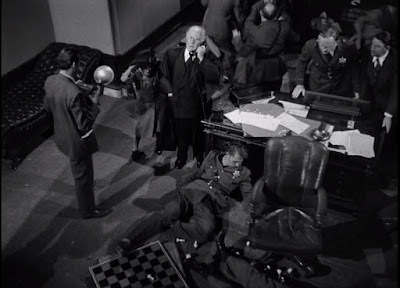 In this regard, one of the more compelling aspects of the film is its performances. 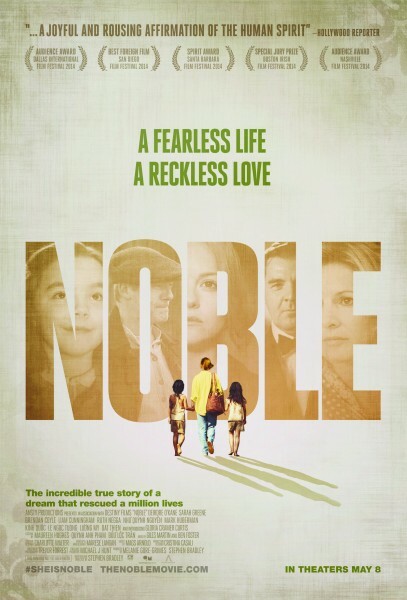 Noble is played with plucky determination by three talented actresses - Gloria Cramer Curtis as a child, Sarah Greene as a young adult and Deirde O'Kane in the present day - and they give us a thorough grasp of her character. Most notably, we see how spirituality was the driving force in her life that fueled her tenacity, rather than keeping her docile. Ultimately, "Noble" may be constructed like a conventional biopic, but it succeeds on the merit of its great message. Through the life story and work of Christina Noble, we see the capacity of human beings to do good and fight for others, regardless of your own background. Surprises may be few and far between, but this uplifting film will warm your heart. This week's top pick comes from Werner Herzog, one of the great auteurs of the New German Cinema. "Stroszek" was released in 1977 and stars Bruno S. in a Transatlantic narrative set in Berlin and Middle America. As it follows our protagonist on his existential journey, the film is a fascinating example of the type of impactful filmmaking that Herzog and his German contemporaries were fostering at the time. "Stroszek" begins in Berlin, where Bruno Stroszek (Bruno S.) has just been released from prison after serving an undisclosed sentence relating to his alcoholism. Sent back into the real world with a warning to quit drinking, his first destination is a bar, in a bit of ironic humour that's typical of the film. While there, he meets a young prostitute in trouble named Eva (Eva Mattes). Feeling sorry for her, he invites her to move in with him. But trouble follows Eva to her new sanctuary, where she and Bruno face incessant harrassment and humiliation from her former pimps. With no apparent solution, the pair decide to leave Germany for greener pastures. Soon, they're on their way to America, upon the suggestion of their older neighbour Scheitz (Clemens Scheitz), who accompanies them on their trip. Safely arrived in their new home, the trio must now learn how to survive in the strange environment of rural America. With a filmography that included "Aguirre, the Wrath of God" and "The Enigma of Kaspar Hauser", Herzog had already begun to establish his trademark interest in telling stories about how men relate to their society/environment . In "Stroszek", we find him at his most cynical, presenting a protagonist in a constant state of misfortune. Even as the film sees Bruno reclaim his freedom at the start, the trajectory of the narrative leaves him perhaps even more lost by the end of it. The disullionment that plagues "Stroszek" makes for an interesting comparison to Wim Wenders' "Paris, Texas". Both films find their protagonists in a somewhat nomadic state, fleeing from troubled pasts that have been exacerbated by their relationships with women. In both cases, the men are similarly sympathetic, despite their own faults. But while Wenders is concerned with Travis' various reconciliations, Herzog's Bruno is a man without any emotional ties to places or people. As such, he's able to balance the bleak undercurrent with a devil-may-care comic approach. Indeed, our three main characters seem to adjust fairly well in a place where they clearly don't belong. Herzog's choice of location is it's own cruel joke, placing our band of outsiders in the kind of unpleasant backcountry where ignorance seems inbred. This bizarre setting is all the more interesting for how these foreigners respond, especially when it comes to the performance of the inimitable Bruno S.
Herzog surely knew that Bruno would be ideal for the role (it's no coincidence that all the actors use their real names in the film), the actor having suffered depressing hardship in his own life. I honestly can't recall another actor like him, with his genial disposition yet perpetually vacant face. He's even more well-cast in "The Enigma of Kaspar Hauser", but this performance brings out more of his natural comic gifts. There's a strangeness throughout "Stroszek" that's quite unlike most of the films we usually see today. In the climax however, Herzog's vision fully comes together in brilliantly absurdist fashion. It involves a runaway Bruno and dancing chickens, and it's all such a curious sight that it reinforces my new belief that the directors of New German Cinema (specifically Rainer Werner Fassbinder, Werner Herzog and Wim Wenders) were the best when it came to film endings. This film and so many others of this particular movement of cinema are truly one of a kind. This film is part of my German Cinema marathon.